considered as a member-owned, sustainable social enterprise that delivers community benefits. 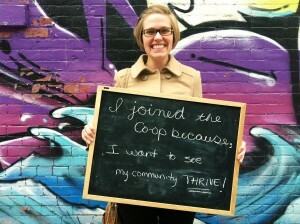 Garden City Food Co-op will provide a fresh approach to food and food shopping. This means local food that is high-quality, homegrown, wholesome, and reasonably priced. It means food shopping that supports the local economy, honours our community and consumer issues, and nurtures sustainable food practices. In short, you will be choosing from the best local produce and products around while adding tremendous value to your own community. Farmers, friends and families will all be connected”via real food. Expect a change in attitude towards groceries and community. Expect a more sustainable, cost-effective and inclusive local food system. Expect a unique and vibrant alternative to the conventional grocery store experience. 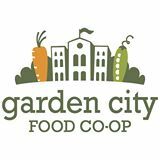 Watch for Garden City Food Co-op to open its doors in 2015. Better yet, join us and become a part of the change!